What are the benefits of 3D printing in architecture? 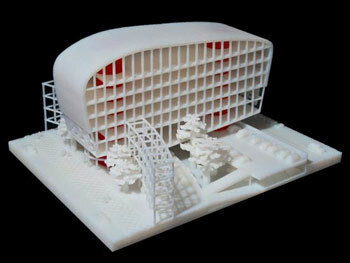 3D printers to create low-cost architectural models used as study models during the creation process. 3D printers to build realistic and detailed architectural models, often used to promote a project by showcasing the final result in 3D, in a visually striking way. 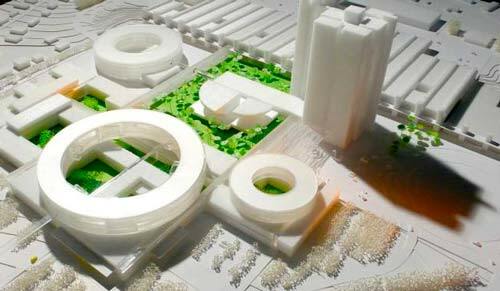 Building cost-effective architectural models: 3D printing enables architects and designers to create low-cost 3D architectural models with a high level of precision. It is for example possible to 3D print several models for different versions of a project. Having tangible 3D printed architectural models to present to clients can help them visualize the project at different phases of completion. Saving time by 3D printing scale models: instead of building by hand scale 3D models, you can 3D print them and work on something else while the 3D printer does all the work. Many architecture firms have 3D printers running 24/7 to efficiently produce 3D printed versions of their projects. Easily updating architectural 3D models: if you have a new idea or if your client changes their minds, you can modify the 3D model and reprint it quite easily. 3D printing is a great tool for iterative design, which can apply in architecture. 3D printing accurate and vivid architectural models: you can 3D print architectural models with a high level of details and choose among a wide range of materials and finishes, depending of course on the 3D printer used. That said, 3D printed architectural models require post-processing before they are ready, from basic support removal and cleaning to more advanced finishing operations such as painting and coloring. Please keep in mind that most desktop 3D printers can only 3D print using plastic filament as consumable, thus limiting the look and feel of the raw 3D printed model. Cost-effective architectural 3D models can be produced using 3D printers during the design phases, in order to test and iterate on different concepts. Using a reliable 3D printer offering a decent print resolution is important if the models has a lot of details. A large build volume can be critical for larger architectural models, in the case of urban planning models for instance. The Fused Deposition Modeling (FDM, also known as FFF) technology is well adapted for 3D printing basic architectural models. Most desktop 3D printers are FDM/FFF and use plastic filament as consumable. A 3D printed model of San Francisco. One of the main advantages of 3D printing in architecture: productivity gains. Indeed, 3D printing can save time in the early design and creation phases by reducing the lead-time for architectural model production and allowing quick tests of concepts and iterations. While it can take several days to build an architectural model manually using wood or foam, 3D printing can deliver results in just hours. A 3D printer can operate overnight for the larger models, which take longer to print. 3D printing allows to easily test many concepts early in the project, and quickly identify potential issues, which would be harder to spot on computer simulations. For this type of 3D printed architectural models used to assess volumes and general structure of the building, no need to use a 3D printer with a very high print resolution or fancy materials. These architectural models need to be 3D printed using a single plastic material and a small number of colors, thus keeping the production costs to a minimum. The 3D printer manufacturer Stratasys claims that modeling costs can be reduced up to 75% by using 3D printing. A visualization of each layer of the building to show how the house really fits together. 3D printing is often used to produce visually striking architectural models, in order to promote a project by showcasing a realistic miniature version of the final result. Again, there is always some degree of post-processing before the 3D printer model is ready for use, especially in the case of durable and realistic 3D printed architectural models. The PolyJet 3D printing technology, developed by Stratasys, is among the best suited for architectural firms looking to create complex and resistant 3D models in-house. 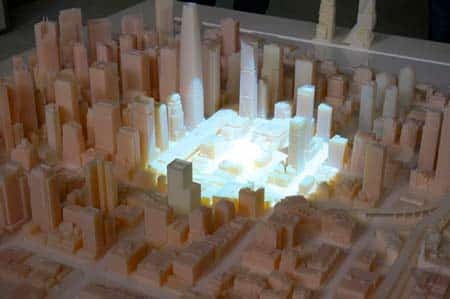 3D printers using resin-based 3D printing technologies such SLA or DLP are also often used by architectural firms to produce complex models with a very high level of details. 3D printed model manufactured by a ZPrinter. A 3D Printed Home Model. 3D printed architectural models can be great to visualize the final version of a building or any architectural project in 3D with many lifelike details. Some advanced 3D printers can even print outdoor terrains and render various textures and colors, for awe-inspiring results. With 3D printers, architects can create architectural models of complex structures such as domes with arches, which are almost impossible to produce by hand with conventional fabrication techniques. For example, MX3D recently announced a collaboration with Dutch construction company Heijmans, to 3D print an actual metal bridge in Amsterdam. They will use an innovative 3D printing system, which extrudes melted metal (see video on the right). However, 3D printers are not intended to replace designers and model makers, but rather to empower them by adding a new powerful machine to their toolbox. the size of the model to be 3D printed: the larger the 3D model is, the longer the print and the more material needed, therefore the more expensive it is. the level of details required for the 3D printed model: 3D printing a highly complex architectural model takes longer than a basic one with few details. 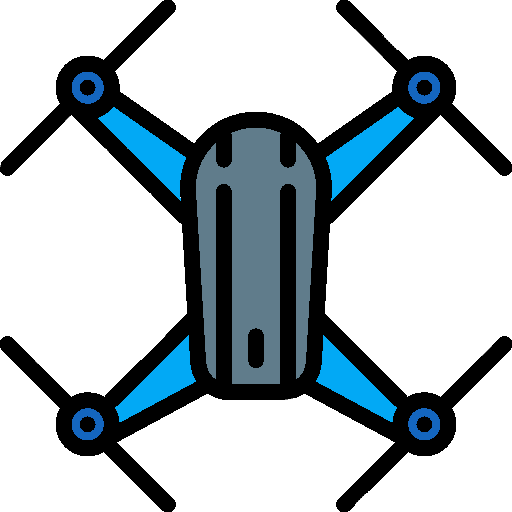 It can also require to be printed on a specific 3D printer offering a higher print resolution, and the model is likely to require more preparation before being sent for 3D printing. Therefore the more complex the model, the more expensive. the quality of the materials: high quality and exotic materials with specific properties are expensive (high resistance, flexible, textures etc) , so depending on the desired final result, the budget can increase if expensive materials are being used. Extrusion 3D printing (FFF and FDM), using PLA or ABS filaments as consumables, is used by most desktop 3D printers and is perfectly suitable for 3D printing architectural models. 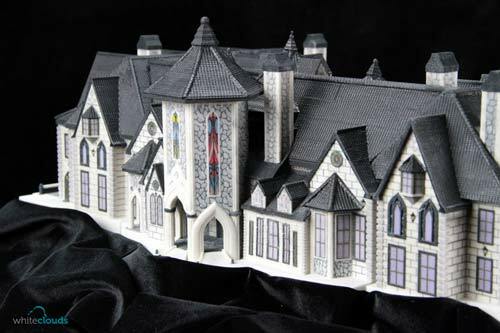 Resin 3D printing (SLA or DLP) is recommended to produce architectural models with a high level of details. a large build volume: one of the most important things in 3D printing architectural models is the build size. We listed the best desktop 3D printers with a large build volume. All the desktop 3D printers on this list are suitable for use in the architecture industry. the ability to 3D print fine details: architectural 3D models often have a high level of details and thus the 3D printer used to build them should have a sufficient print resolution. a wide choice of filaments: if you use an FFF 3D printer, it can be interesting to have access to a wide choice of compatible filaments (colors, exotic materials, physical properties…). an good 3D software: this is particularly important if you’re new to 3D printing or have little experience on the subject, the 3D software used to prepare your 3D prints can make a big difference on the outcome in terms of quality and time spent, and ultimately drive the ROI of using 3D printing up or down. The LeapFrog Creatr HS XL is a fast, large-volume dual-extruder 3D printer. With it, you can 3D print large volume and tall architectural 3D models in two colors or with solvable supports. This desktop 3D printer is a good fit for use in the architecture industry. 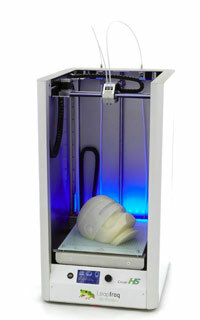 Find more information about this 3D printer on the LeapFrog Creatr HS XL product page. The Ultimaker 3 Extended is able to 3D print in several materials: PLA, PVA, ABS, CPE (also called UPET) and Nylon. This well-known and reliable 3D printer offers a high 3D printing resolution of 20 microns and uses 2.85 – 3 mm diameter filament (less common than 1.75 mm). The Ultimaker 3 Extended offers a dual extruder and a built-in camera, allowing to montior 3D prints from a distance. With its large build volume and high resolution the Ultimaker 3 Extended is perfectly adapted for architectural models 3D printing. The established Dutch manufacturer, has been focusing on the Architecture market for a long time and their 3D printers are used by architect firms worldwide. 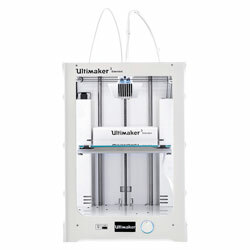 If you wish to read more about this product, you can visit the Ultimaker 3 Extended product page. Stratasys developed a range of 3D printers for architecture using their proprietary PolyJet technology. They have a more industrial look that the typical desktop 3D printers and are targeting architecture modeling companies looking to produce efficiently high-quality architectural models. Those 3D printers are designed for rapid prototyping and can be used with high precision materials. There are many 3D printers with features matching the needs of the architecture industry. Prices starts at a few thousands for a large volume desktop 3D printer and can reach over $10k for professional-grade 3D printers, usually used to produce a high volume of architectural models. ABS: the most popular material for the creation of architectural 3D models. ABS filaments are very commun and are affordable. Most of the 3D printers used in the architecture industry are using ABS. polyamide (nylon plastic): the 3D models are made from a granular powder and the final surface has a sandy, granular look, and is slightly porous. prime Gray: also known as Gray Resin can be used to 3D print precise scale 3D models, it has a very smooth final touch. However the freedom of design is limited because of the structure necessary to support the 3D models during the 3D printing process. The colors can be painted on the 3D print. multicolor: the models are constructed from a granular powder and the final surface has a sandy, granular look. It is perfect if you don’t want to paint your 3D model. transparent Resin: the models are fabricated from a hardened liquid resin. With it, you can 3D print parts of your final 3D model such as windows. 3D scanners are an important part of the 3D printing ecosystem. They have applications in architecture, in fields such as interior design. It is possible to map a room in 3D using a 3D scanner, and get the 3D model on a computer for further modifications using a 3D sofware. Indeed, these virtual 3D models of rooms, homes or commercial buildings can then be edited using a specific 3D software, to simulate the addition of a new piece of furniture for example. 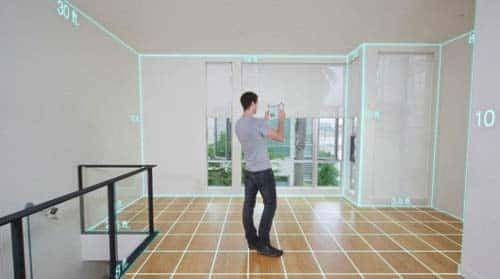 Real-estate agencies are increasingly resorting to interior 3D scanning in order to provide virtual visits of buildings to potential buyers. A 3D scan of a room with the structure sensor, a 3D scanner for ipad. 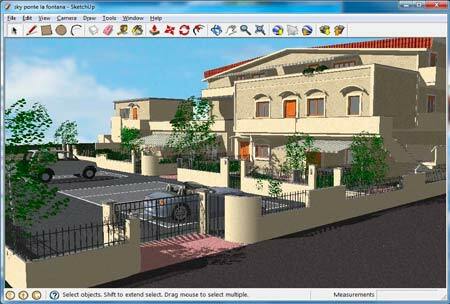 The software Sketchup by Trimble. Some architects push even further the boundaries of 3D design by creating their own 3D software. As an example, star architect Frank Gehry developed Digital Project, an ambitious architecture 3D software tailored to create highly complex structures, impossible to design with traditional 3D software. 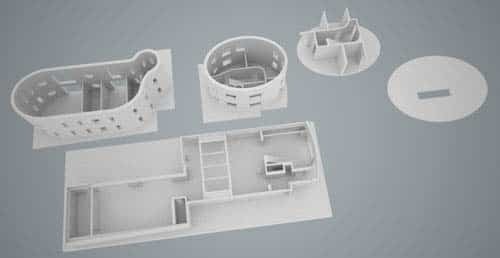 No matter what type of architectural model you want to 3D print, the first step will be to have a 3D model of the building on your computer. Some architecture software already offer 3D printing capacities. For instance, 3D models made with Autocad (Autodesk), SketchUp (Trimble) or HomebyMe (Dassault Systemes) are compatible for 3D printing. However, some specific 3D printing features are not yet available in all 3D design software (colors and textures for instance). 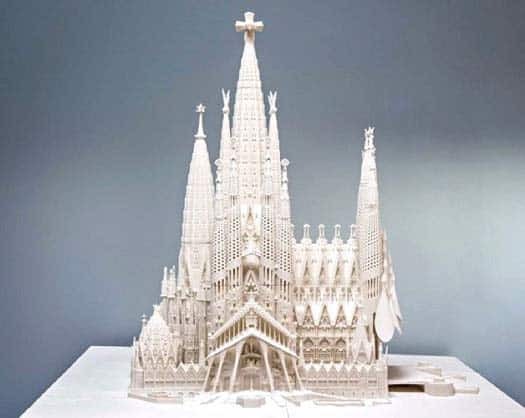 According to the BBC, 3D printing could allow the Sagrada Familia in Barcelona, Spain, one of the most ambitious buildings in modern architecture, to finally be completed more than a century after the beginning of the project. “Given the complexity of surfaces and shapes of Gaudi’s original project, working in 2D makes no sense from an architectural point of view” said chief architect Jodi Coll. 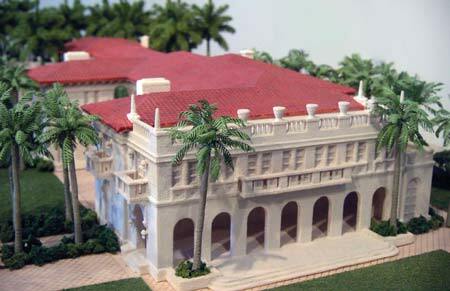 Thus, architectural 3D models are created using 3D printing, with speed and accuracy. A 3D model of the Sagrada Familia. Credit: Expiatory Temple of the Basílica de la Sagrada Família. Henning Larsen Architects (HLA) is a Copenhagen architectural firm, which created projects such as the Danish Embassy in Riyadh. To push the boundaries of architectural design, HLA has recently invested in 3D prototyping technologies. “This machine has created a much closer link between the physical world and the digital world by allowing us to print color elements and build 3D models of buildings from the beginning of the process” says Morten Steffensen, an engineer at HLA.